DUBAI: India is willing to support Gulf Cooperation Council (GCC) countries in their focus on value addition, from oil economy to polymers and plastic products, an official has said. President of All India Plastics Manufacturers Association (AIPMA) Jayesh Rambhia said this is an opportunity for GCC and India to co-operate and supplement each other. AIPMA is the co-organiser of Plastivision Arabia which is being held from May 14 to 17 featuring 150 exhibitors from 20 countries. The $25-billion Indian plastics industry has the largest number of exhibitors – nearly half of the total participation – while the rest are from China, France, Germany, Hong Kong, Iran, Japan, South Korea, Saudi Arabia, Pakistan, Portugal, Qatar, Russia, South Africa, Spain, Switzerland, Taiwan, Turkey, the UAE and the UK, according to a statement. 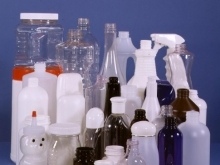 The packaging sector – a key driver of the plastics industry – in the UAE is valued at $1.84 billion in 2011, registering a growth at a CAGR of 4.27 per cent, according to Global Industry Analysts. It is projected to grow at a CAGR of 4.68 per cent to reach $2.3 billion in 2016. The opening event was attended by Indian ambassador to the UAE, M K Lokesh.